The first known case of underage gamblers being able to successfully place bets on a regulated US-based site is the most significant incident to be dealt with in the latest series of director’s enforcement actions announced by the New Jersey Division of Gaming Enforcement (DGE). 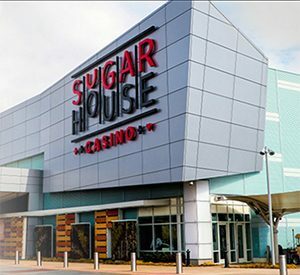 This latest update offered the resolution of a variety of gambling violations, and the distinctiveness of the $30,000 fine assessed against Rush Street Interactive NJ, LLC, the entity behind the PlaySugarHouse.com site operated in New Jersey through a licensing agreement with Golden Nugget Atlantic City. Not all the details have been made public. Rush Street Interactive issued a brief statement several days back offering some insight, beginning with the fact that the episode was discovered internally and covered roughly 14 months, from November of 2016 through January 2018. According to several reports, including this one from AP gambling-beat writer Wayne Parry, 13 different underage gamblers — all of roughly college age (meaning 18, 19 or 20), were able to sign up on the PlaySugarHouse site and collectively wager almost $5,000. Really? That seems odd, that any software would allow a three-year variation in the year of birth during the sign-up process, year of birth tending to be a single-answer type of thing. Also not disclosed is whether the faulty age-verification code came from Rush Street Interactive itself or a specialized, third-party age-verification vendor, even though Rush Street is taking the hit. 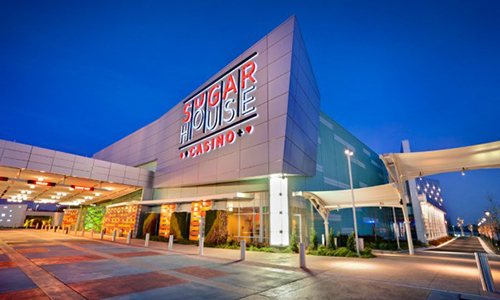 The November 2017 start date for the activity is only two months later than PlaySugarHouse’s September 2016 launch, suggesting that this was indeed a growing series of college-age gamblers discovering the hole, either as single gamblers or in small groups. There was also a stretch of more than five months from when RSI discovered the software flaw and when the DGE filed its formal complaint, late last June, though it’s likely the two entities conducted a joint investigation once the problem emerged. Much of the difference between the $5,000 wagered and the $30,000 fine assessed may be an allocation toward the DGE’s investigative expenses. “We take this matter very seriously,” Rush Street Interactive said in a statement issued to select outlets. “As soon as our team discovered the misconfiguration, we self-reported it to the gaming commission and took immediate action to correct and prevent recurrence. Responsible gaming is a top priority for us.” RSI has not published a matching statement on its corporate site, and as a privately-held entity, is not forced to do so as a matter of investor disclosure. The latest batch of director’s actions also includes another matter involving Golden Nugget AC. Last month, both Harrah’s AC and Golden Nugget AC were fined by the DGE for accepting wagers on college teams based in New Jersey, in violation of the state’s new sports-betting codes. In both instances, which involved multiple patrons and occurred in September, it appears the casinos likely just reposted the block of lines established by their sister casinos in Las Vegas, without bothering to strip out the New Jersey collegiate games. The odd thing, though, was that Harrah’s AC was fined $2,000, while Golden Nugget was assessed only $390. This latest batch of actions includes a new $2,000 fine against the Nugget, meaning the DGE”s actions amounted to a two-parter for some undisclosed, technical reason. The fines against both Harrah’s AC and Golden Nugget AC served notice to all of New Jersey’s casinos to pay closer notice to any and all differences between the established sports books in Nevada and the new offerings in New Jersey, even if they are sharing oddsmaking information.